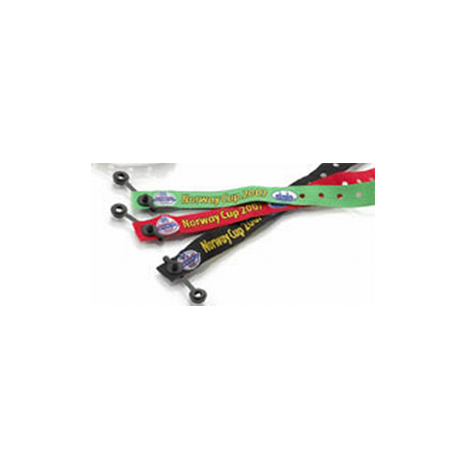 Woven Wristbands with Plastic Snap Security closure. Please call 253 841 4057 for help in placing your order. We prefer working directly with our customers on this style of wristbands to ensure we have everything we need to make your experience as smooth as possible. Size = 1.5cm x 35cm Minimum purchase is 250 wristbands. Price shown is a per band price and includes embroidery. 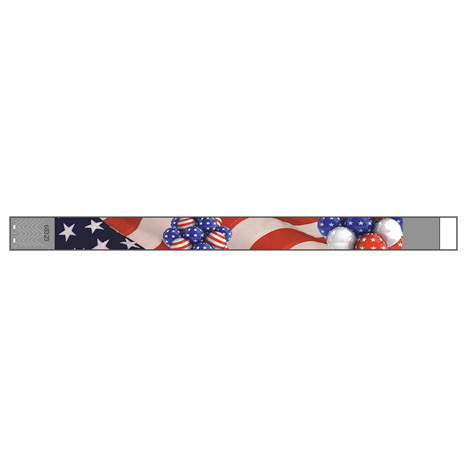 We can produce wristbands with up to 8 colors. 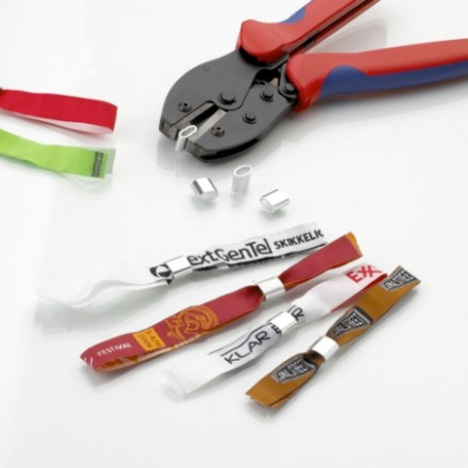 This wristband has the pre-punched holes using the one-time-use plastic snap for the security closure. It is very effective in preventing removal and transfer to another person. 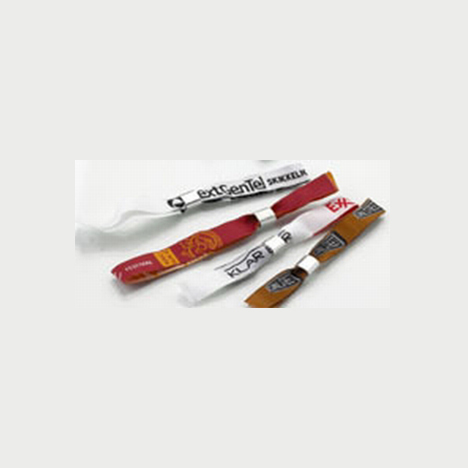 This security closure is also used on our plastic and vinyl wristbands with great success. Please call 253-841-4057 for customer service if you have questions or if you prefer to order over the phone. We are happy to help you with the process of making your order. 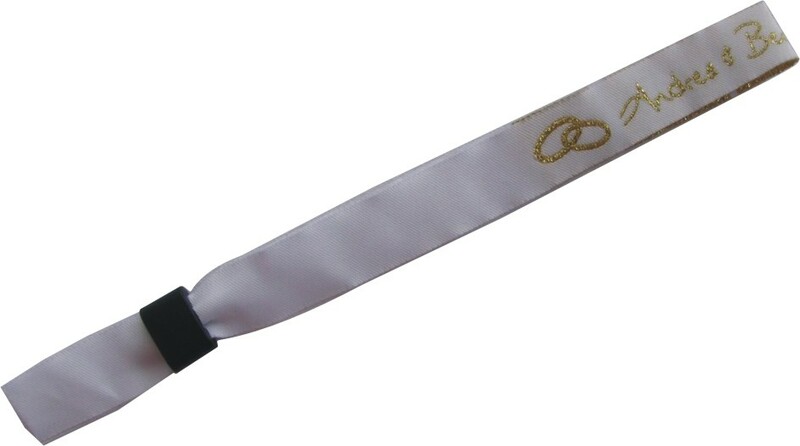 Many European companies are using this style of wristbands with great success. They provide excellent security for events, large and small. Price includes Wristbands. Custom Embroidery of up to 8 colors. Shipping is included. Turnaround time is approximately 2 weeks from approval of proof to delivery, depending on the size of your order. Please note. We are not responsible for import fees or taxes that may be charged to you upon delivery of larger orders or orders outside of the U.S. Thank you for choosing Discount Wristbands/ Wristband World. We appreciate your business and look forward to working with you.